UK Chancellor George Osborne is likely to rule out a formal currency union with an independent Scotland, government sources have told the BBC. It comes after Prime Minister David Cameron said Mr Osborne will set out further details of the coalition’s position later this week. The Scottish government has said it wants to retain the pound in an independent Scotland. It has said a currency union is the “sensible option”. A spokesman for Scottish Finance Secretary John Swinney said it would be “absurd” for any prime minister to object to such an agreement. 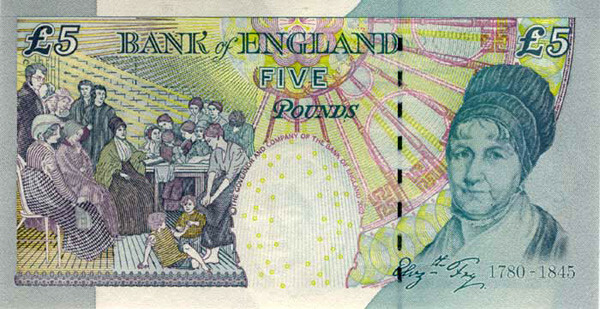 currency an independent Scotland would use, ahead of the referendum in September. About four million people over the age of 16 and living in Scotland will be able to take part in the referendum, promised by the Scottish National Party (SNP), on 18 September. UK Chancellor George Osborne is likely to rule out a formal currency union with an independent Scotland, government sources have told the BBC. It comes after the prime minister said Mr Osborne will set out details of the coalition’s position later this week. The Scottish government has said it wants to retain the pound if there is a “Yes” vote in referendum. A spokesman for Scottish Finance Secretary John Swinney said Westminster was trying to “bully Scotland”. The Scottish government has said a currency union is the “sensible option”. 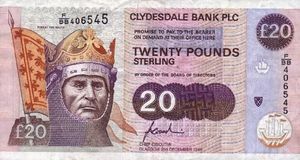 Meanwhile, MPs are due to discuss the issue of what currency Scotland would use if voters back independence on Wednesday. Shadow business minister Ian Murray will lead a debate on the subject at Westminster. UK Chancellor George Osborne is likely to rule out a formal currency union with an independent Scotland, government sources have told the BBC. It came after the prime minister said Mr Osborne would set out details of the coalition’s position later this week. The Scottish government has said it wants to keep pound in a currency union if there is a “Yes” vote in referendum. The deputy first minister claimed no currency deal would leave Westminster with the entirety of UK debt. Nicola Sturgeon said the position did not bear scrutiny and was a campaign manoeuvre in a bid to “bully Scotland”. The Scottish government has said Scotland should meet a fair share of the cost of servicing UK Treasury debt, but that “assets and liabilities” go together. Ms Sturgeon said that no matter what Westminster said now, the reality would be very different if Scotland voted “Yes”. UK Chancellor George Osborne is likely to rule out a formal currency union with an independent Scotland, government sources have told the BBC. It came after the prime minister said Mr Osborne would set out details of the coalition’s position this week. The Scottish government wants to keep the pound in a currency union if there is a referendum “Yes” vote. The deputy first minister claimed no currency deal would leave Westminster with all the UK debt. Nicola Sturgeon said the position did not bear scrutiny and was a campaign manoeuvre in a bid to “bully Scotland”. 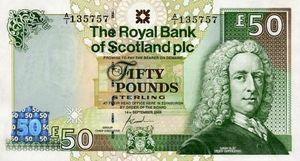 Meanwhile, MPs are due to discuss on Wednesday the issue of what currency Scotland would use if voters back independence. Shadow business minister Ian Murray will lead a debate on the subject at Westminster. The Scottish government wants to keep the pound in a currency union if there is a referendum “Yes” vote. SNP ministers said failure to do such a deal could leave the Westminster government with all UK debt. Scottish Deputy First Minister Nicola Sturgeon said the UK government’s position did not bear scrutiny and was an attempt to “bully Scotland”. Alistair Darling, leader of the Better Together campaign to keep the Union, accused the Scottish government of making a “reckless threat”. Ahead of the 18 September independence referendum, the Scottish government has set out a plan to retain the pound and the services of the Bank of England, in the event of a “Yes” vote. SNP ministers said the position would be in the best interests of Scotland and the rest of the UK. Until now, Mr Osborne has said such an agreement would be “unlikely”, but a formal ruling out of such a move would pile huge pressure on the Scottish government’s currency plan, said BBC political correspondent Tim Reid. Ms Sturgeon told BBC Radio’s Good Morning Scotland programme the UK government had given its clearest sign yet that it was losing the argument. “We’ve gone, in under a week, from David Cameron’s love bombing, back to bullying and intimidation,” she said. “It is a bluff, because if this was to be the position of the Westminster government then it would put them in a position that’s at odds with majority public opinion in Scotland, it would put them at odds with majority public opinion in England. “It would cost their own businesses hundreds of millions of pounds, it would blow a massive hole in their balance of payments and it would leave them having to pick up the entirety of UK debt.” The Scottish government has said Scotland should meet a fair share of the cost of servicing UK Treasury debt, but that “assets and liabilities” went together. Ms Sturgeon said that no matter what Westminster said now, the reality would be very different if Scotland voted “Yes”. UK Chancellor George Osborne will rule out a formal currency union with an independent Scotland, government sources have told the BBC. It came after the prime minister said Mr Osborne would set out details of the coalition’s position this week. His position will also be backed by Labour shadow chancellor Ed Balls and Liberal Democrat Chief Secretary to the Treasury, Danny Alexander. The Scottish government wants to keep the pound in a currency union if there is a referendum “Yes” vote. SNP ministers said the Westminster parties were bullying Scotland. Mr Osborne will set out his detailed position this week, with Mr Balls and Mr Alexander expected to follow in the days to come. Deputy Scottish First Minister Nicola Sturgeon said the UK government’s position did not bear scrutiny, adding that failure to do a deal on the currency in the event of a “Yes” vote in the 18 September referendum could leave Westminster with all UK debt. Meanwhile, Alistair Darling, leader of the Better Together campaign to keep the Union, accused the Scottish government of making a “reckless threat”. The Scottish government has set out a plan to retain the pound and the services of the Bank of England, in the event of a “Yes” vote, which it said would be in the best interests of Scotland and the rest of the UK. The Scottish government has said Scotland should meet a fair share of the cost of servicing UK Treasury debt, but that “assets and liabilities” went together. Ms Sturgeon said that, no matter what Westminster said now, the reality would be very different if Scotland voted “Yes”.